Decide if generated indexes list page number or reference text. Optionally choose how each indexing topic is sorted. Automate marking indexing entries via a concordance list. 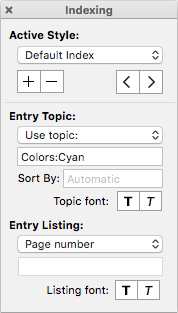 Add bold or italic to index topics or entries. 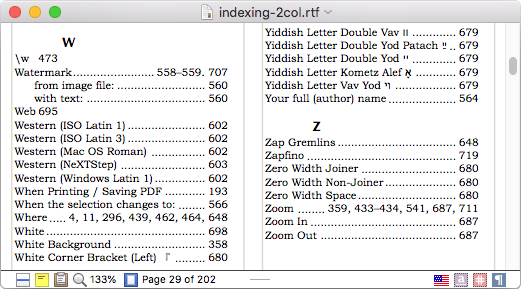 Once your document is finished, just insert a fully automatically generated index. Entries in your generated index are exported as clickable links when exporting your document as a PDF. Formatting for each generated index level. Read more in our user guide's help topic about Indexing.